JEFFERSON CITY, Mo. 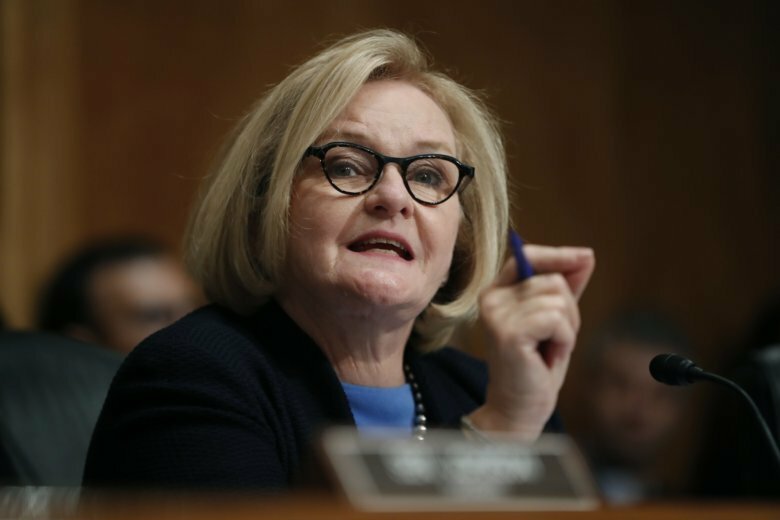 (AP) — A Republican political action committee has launched a television ad that alleges Democratic U.S. Sen. Claire McCaskill of Missouri shifted her stance on immigration policy and supported a reprieve for 11 million immigrants living in the country illegally. The ad, which hit airwaves last week, was launched by the Senate Leadership Fund, which has ties to GOP Sen. Mitch McConnell. McCaskill faces a challenge from Republican Missouri Attorney General Josh Hawley in a close race that’s considered instrumental in determining party control of the U.S. Senate. THE FACTS: The claim misleads viewers on McCaskill’s immigration record and misrepresents a failed immigration plan. In her first run for a U.S. Senate seat in 2006, McCaskill said during a debate that she opposed amnesty for immigrants in the country illegally. The Senate Leadership Fund ad references McCaskill’s vote for a 2013 bill that would have allowed millions of immigrants who were already living in the country illegally to apply for citizenship. The bill also would have increased spending for border security. Fourteen Republican senators joined Democrats to vote for the legislation, but it died in the Republican-controlled House. Some critics did describe the package as an “amnesty” deal. But the bill was not as simple as the ad suggests. Under the proposed legislation, immigrants living in the country illegally would not have become U.S. citizens immediately. The plan required immigrants to apply for a six-year provisional status. They would have had to pay a $500 fine and could have no felony convictions. Those who qualified could not access federal benefits such as health care or welfare. After a decade, those on provisional status would have been able to apply for permanent legal status if they agreed to a series of rules that included learning English and paying taxes and an additional $1,000 fine. All of those requirements meant that not all of the estimated 11 million immigrants living illegally in the U.S. at the time would have been eligible for the program, said Washington University School of Law professor Stephen Legomsky. He worked on the bill as chief counsel of U.S. Citizenship and Immigration Services in the Department of Homeland Security, and has advised Presidents George H.W. Bush, Bill Clinton and Barack Obama on immigration policy. The ad’s assertion that there were no border protections in the bill, or at the time of McCaskill’s vote, is wrong. At the time, roughly 350 miles of pedestrian fencing that is intended to prevent people from crossing on foot and more than 18,000 border patrol agents protected the U.S.-Mexico border, according to records kept by U.S. Customs and Border Protection. The bill required new border security measures, including doubling the number of agents and extending the length of the fencing to 700 miles, were implemented before any of the immigrants on provisional status could gain permanent residency.